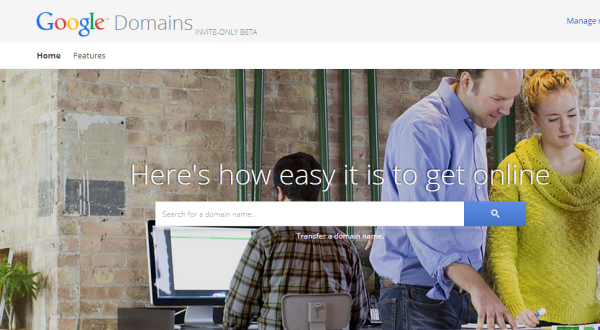 Google announced on Monday, June 23 that they are now testing a domain registration service. They also wrote that they'll be making creating a website as easy as pie - by offering easy integration with the top website builders Shopify, Squarespace, Weebly, and Wix.com. Find out why they're making this move, and what could be in it for you. That means you can't start buying your own domain name with Google just yet - they are only allowing a few customers use the service and try it out. However, you can request an invitation - the easiest way to do that is visit the website and enter a domain name you'd like to buy. They'll then take you to a form to fill out to request an invitation to the new service. Google also announced their partnership with some of the top website builders out there - Shopify, Squarespace, Weebly and Wix - which will help you build your own website on your new domain, at a cost. Google is sensibly leaving the actual building of new websites to the experts. 3. What are they offering? Google will charge a $12 annual registration fee for a domain, which will include 100 email addresses, domain forwarding, 100 customizable sub-domains, and no-cost private registration (which means your private data will be hidden from the public eye) - all for free. 4. Why is Google opening this new service? There are a few reasons why Google is testing a domain registration service. The main reason Google gave for entering this market is a result of their research, which found that 55% of small businesses don't have websites. They've said their mission is to shrink that number. Domain Name Wire suggests another reason behind Google's move to domain registration - the burgeoning opportunity with Top Level Domains (TLDs) opening up. These include .photography, .pet, .blog and many more - which offer a huge money-making opportunity. We're not sure when Google will make this new service more widely available, so we'd recommend not holding out until you receive a precious invitation. 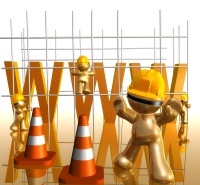 Start building your website today from scratch with one of the top website builders - they can provide great domain names, hosting and quality template designs. So start building!